For this A2 card I started with White card stock for the base of the card. I took the plaid paper, inked the edges with Spun Sugar distress ink and attached it to the card. 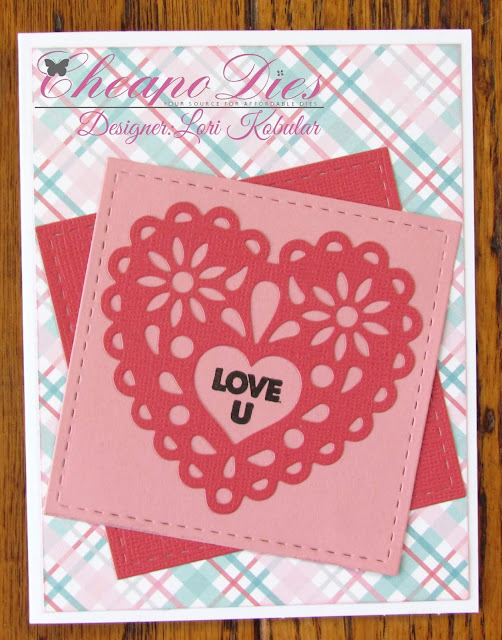 I took the Heart Doily die and some dark pink paper and cut out the heart doily. I added it to a lighter pink piece of paper and then another piece of the dark pink paper and placed them all onto the card. I took some black ink and the Love U stamp and stamped that into the middle of the heart. 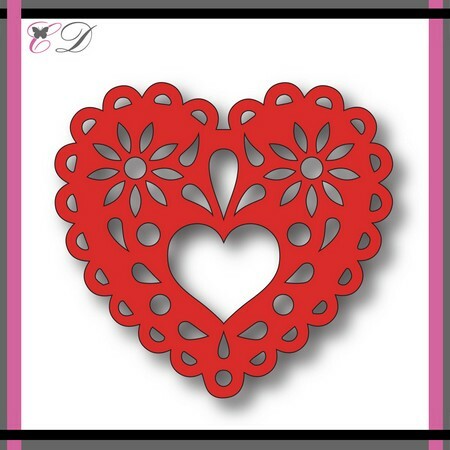 Isn't this perfect for Valentine's Day?